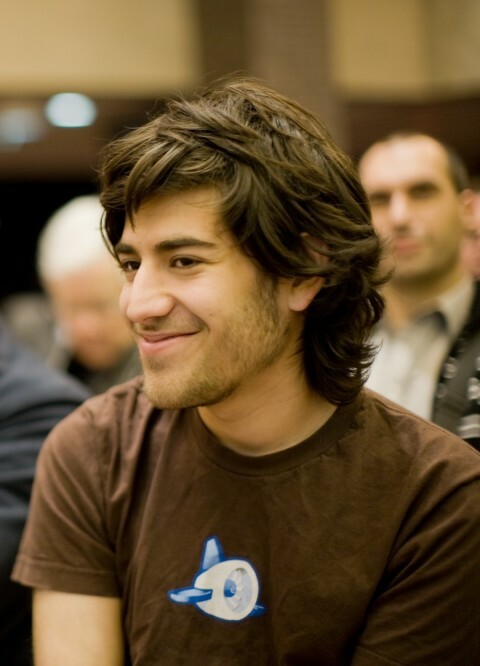 Aaron Swartz committed suicide yesterday. Swartz was a prodigy computer science whiz (co-developer of RSS — at 14) and information-should-be-free activist who was facing up to 35 years in jail for downloading the JSTOR archive of about 4.8 million documents. …Cory Doctorow, a science fiction author and an online activist, posted a tribute to Mr. Swartz on the blog he co-edits, BoingBoing. …On Wednesday JSTOR announced that it would open its archives for 1,200 journals to free reading by the public on a limited basis. Swartz had previously written about the vicious embrace depression could wrap around him, so his death cannot be reducded to a decision “to take arms against a sea of troubles And by opposing end them” — not that it ever is (say I, as someone whose family has been very hard it by the pathology of depressive illness). But I will say that whatever miseries led Swartz to this end, I am sorry indeed to live in a society where the crime of stealing articles on 18th century monetary policy (inter alia, of course) is treated more harshly than the non-offense of terrorizing a public street through the display of firearms. Last word: As Doctorow told the Times, we have lost someone to be missed. ETA: Cory Doctorow’s remembrance over at BoingBoing is very much worth a read. He knew and felt deeply for Swartz, and captures some of the spark there, and provides as well a sober and fair-minded account of the various woes that may have ensnared his friend. Fallows also has good thoughts. Image: Aaron Swartz at a Creative Commons event, 13 December 2008. This entry was posted on January 12, 2013 at 3:03 pm and is filed under In Memoriam. You can subscribe via RSS 2.0 feed to this post's comments.